Just look at Kyle Schwarber. Rickey Henderson. Kenny Lofton. Ichiro Suzuki. Kyle Schwarber? Schwarber may not play exactly like those other great leadoff hitters, but he’s been at the front of the Cubs’ lineup in every game he’s played in so far this season, and he currently ranks third in MLB among leadoff hitters in on-base percentage and fourth in OPS. With numbers like those, he’s shaping up to easily replace departed No. 1 hitter Dexter Fowler, who signed a big contract to hit leadoff in St. Louis this past offseason. Schwarber personifies a strange new trend sweeping through lineup cards across baseball: The leadoff guy who bears no resemblance to a prototypical leadoff guy. This modern leadoff man hits for big power, isn’t afraid to strike out and rarely steals bases. He’s essentially a middle-of-the-lineup hitter who happens to hit first — the next rung on the evolutionary ladder of lineup construction. Traditionally, a top-of-the-order hitter was the master of small ball. He needed loads of speed, with a good batting average and maybe a good enough eye to draw some walks. Power was completely extraneous; in 1980, the average team got 46 steals and only 7 home runs from its leadoff slot. But then came Henderson, widely regarded as the greatest leadoff hitter ever. Henderson certainly swiped a lot of bags — he easily holds the all-time record — but he also held the record for walks before Barry Bonds came along, and he even bashed 297 career home runs. Henderson could do it all, and in the process he changed the idea of what a leadoff hitter could be. At the tail end of Henderson’s heyday, early adopters of sabermetrics confirmed that it was great to have walks and power at the top of the lineup. They were less sure about speed, though. Rather than trotting out speedy leadoff hitters who get thrown out stealing, the numbers suggested that teams should instead emphasize on-base percentage at the top of the lineup. In the mid-to-late 1990s, those two philosophies on leadoff hitters drove teams to sometimes ask traditional leadoff men to do more than they would have otherwise. Doug Glanville was one of those players who had speed but lacked power and patience. “I distinctly remember a lot of consistent pressure to be the guy that sees a lot of pitches, gets on base and takes the walk,” Glanville told me. He ended up having MLB’s 13th-most hits from the leadoff slot during the span of his playing career, but it wasn’t easy trying to be the leadoff man his era was starting to demand. Even if we only go back to 2002,1 we can see how the leadoff philosophy has changed. Today’s leadoff men draw more walks and hit for substantially more power than they did in previous generations — which, unsurprisingly, leads to better production (i.e., a higher on-base plus slugging rate) than in the past. But they’ve also changed how they approach each at-bat: Relative to overall trends in the game, leadoff hitters now launch more fly balls and hit to the opposite field less. Even that fabled top-of-the-order speed is on the decline, with leadoff men stealing 21 percent fewer bases per trip to first base (again, after adjusting for league average) than they did just 15 years earlier. Clearly, our mental image of a speedy slap-hitter leading off is as outdated as a 25 cent hot dog. But if our vision of the ideal leadoff hitter needs updating, who are today’s leadoff prototypes? Schwarber is a good guess — he showed a mix of power and patience as a rookie in 2015 (he missed practically all of 2016 with an injury), and speed is no longer as much of a requirement for the role. But he’s not perfect. To find out who is perfect, I ran a regression between a leadoff hitter’s playing attributes2 and his team’s runs scored per game (adjusted for the stadium they were scored in). According to that, the ideal current leadoff man3 is Cleveland’s Carlos Santana. Leading off for the Tribe while splitting time between designated hitter, first base and right field, the 210-pound Santana doesn’t look like the traditional platonic ideal of a leadoff man, and he stole just 5 bases last season. But his peculiar blend of abilities — great contact skills, tons of walks and the power to drill 34 home runs — is associated with about 30 extra runs (or 3 more wins) over a 162-game season, tops of any leadoff man in baseball. Of course, we could do even better if we set out to create a Frankenstein-style ultimate leadoff man for the modern game. Build a player with Dustin Pedroia’s supernatural ability to put bat on ball, Santana’s plate patience, Brian Dozier’s 40-homer power stroke and Dee Gordon’s blazing speed, and you’d have a leadoff hitter who’d add nearly 50 runs (or 5 wins) to his team’s ledger at the top of the lineup, relative to average. That player doesn’t really exist yet. (Trout doesn’t lead off for the Angels anymore, but even if he did, he wouldn’t quite be the perfect leadoff guy because he’s also “only” an average contact hitter.) But with the evolving role starting to favor players like Schwarber and Santana, it might only be a matter of time before the perfect combination of skills comes along — and that player has a manager willing to break with convention and pencil him in atop the lineup card. 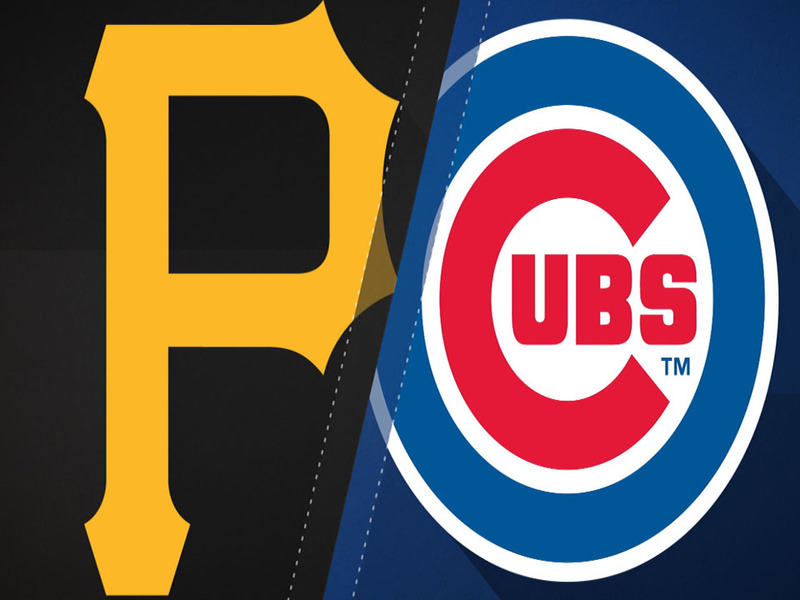 April 15: Pirates (31 percent) defeat Cubs. With Jake Arrieta (who at the time was ranked by Elo’s pitcher ratings as the 11th-best starter in baseball) leading the top-ranked Cubs at home against the No. 19 Pirates and Tyler Glasnow (the seventh-worst starter in MLB), Chicago appeared to have a big advantage over Pittsburgh. That edge only widened when the Cubs took a 6-2 lead into the sixth inning — FanGraphs gave Chicago a 92 percent chance of winning at the top of the frame. But the Pirates scored 5 seventh-inning runs, including a 3-run homer by Andrew McCutchen, off Brian Duensing and Pedro Strop, then held off the Cubs late to secure the improbable victory. Mike Trout of the Los Angeles Angels isn’t merely the best player in baseball — he could very well finish his career on the short list of greatest players ever. He’s so consistently good that sometimes it’s easy to take him for granted. As a result, I’ll be using this column to drop occasional updates reminding us that we might be watching history being made in Anaheim. For our first TroutBeat, The Ringer writer (and my former colleague) Ben Lindbergh points out that last week Trout was already leading the American League in wins above replacement, a distinction he’s held in each of the past five seasons. This deserves more research, but I took a quick first pass at it using our MLB Elo ratings, which account for the quality of each team in a given matchup, as well as the pitchers starting each game and other factors such as home-field advantage and travel distance. I collected that data for 4,277 pairs of doubleheader games during the expansion era (1961-present), and fed it into a regression that tried to predict the result of the second game of each double feature. And after controlling for those ordinary factors that go into the outcome of any game (team ratings, starters, etc. ), the winner from earlier in the day didn’t have a statistically significant edge in the later game. In other words, although what happens in the daytime half of a doubleheader can affect lineup choices at night, it appears that (for all intents and purposes) the two halves of a twin billing can be treated like two independent games. Photo: Kyle Schwarber hits a home run … just as leadoff hitters are supposed to do now.